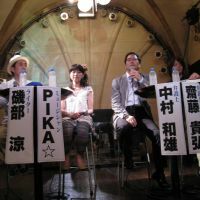 The 2012 general election might not seem to have any bearing on the state of pop music in Japan, but there was an eerie similarity in the way both the electorate and the pop world turned back the clock and wrapped conservatism in a neurotic embrace. Japanese chart company Oricon’s year-end rankings tell two main stories. The first is of an industry desperately clinging onto the hoary old remains of the past. The best-selling albums of the year include three releases by 1990s rock superstars Mr. Children in the Top 10, including two compilations sitting pretty at No. 1 and No. 2. Compilations by fellow rock relics Keisuke Kuwata and Tatsuro Yamashita, as well as the evergreen Yumi Matsutoya also ride high in the rankings, while unkillable boy band Exile make a strong showing, too. Meanwhile the poor performance of dance-pop singer MiChi’s excellent but ominously titled “Therapy” suggests that even when delivered something vibrant and modern on a plate, the industry — or the market — is so set in its ways that it was clueless about how to deal with her. Even in the fanatically youth-oriented idol world, echoes of the past preponderated this year, with breakout media stars Momoiro Clover Z consciously playing to older listeners’ sense of nostalgia for old superhero teams and monster shows, all the while bowing long and hard to their audiences. Their music may sound like something from another planet, but their values are firmly rooted in the Showa Era. And idol music is undoubtedly the other big story told by the end-of-year rankings, with every single one of the Top 20 best-selling singles falling under the aegis of just two men: Yasushi Akimoto and Johnny Kitagawa. Akimoto’s girl-idol factory snagged 12 of the Top 20 with AKB48 taking all of the top five, while Kitagawa’s Johnny & Associates vacuumed up the remains with perennial boy-band mega-sales merchants Arashi leading the way. Politics and pop also mirrored each other in the international arena, with the aggravation of tensions between Japan and South Korea over the Takeshima/Dokdo island group coinciding with a growing coldness toward Korean pop. While the world went gaga over Psy’s viral mega-hit “Gangnam Style,” Japan merely shrugged its shoulders and got on with voting Yuko Oshima the most popular member of AKB48. When it came time for national broadcaster NHK to announce the lineup for its annual New Year’s Eve “Kohaku Uta Gassen” music extravaganza, Korean artists were conspicuously absent in favor of idol groups such as AKB48, Nagoya-based sister group SKE48 and aforementioned up-and-comers Momoiro Clover Z. 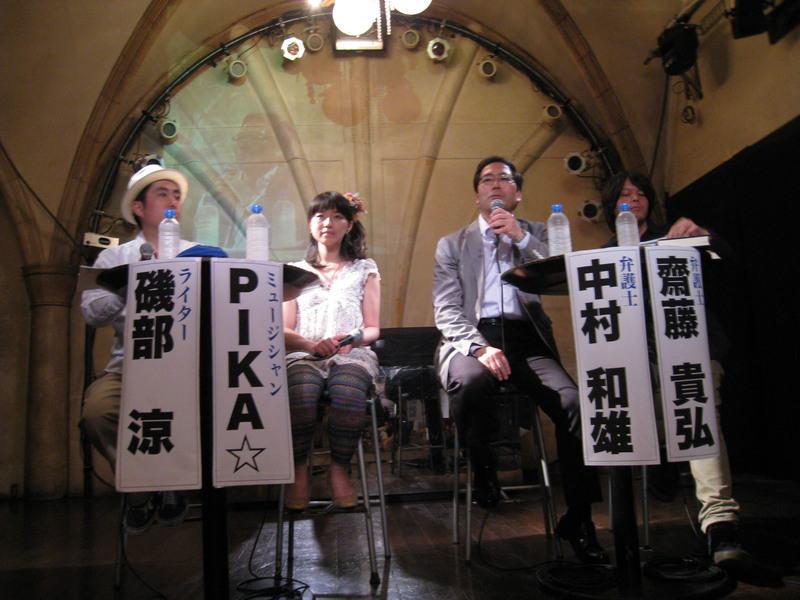 In terms of sales, it’s hard to judge whether K-pop has had its day in Japan or if it has simply plateaued, with boy band Tohoshinki not releasing anything, and leading girl groups Kara and Girls’ Generation both putting out new albums too late in the year to register highly, although both artists still saw sales in the hundreds of thousands. Japanese audiences certainly haven’t turned their back completely on their western neighbors. While Psy’s impact was limited, his Korean labelmates, the rough-and-ready girl group 2NE1, established themselves as a chart and arena-friendly act. Elsewhere, cutesy pop trio Orange Caramel grazed the Top 20 by mining Japanese audiences’ sense of nostalgia with a cover of “Yasashii Akuma” by ’70s idol trio Candies. With the singles charts having been reduced to nothing more than an extension of the idol-goods market and album sales dominated by what appears to be an ageing audience for ’90s throwbacks, the music industry spent the year casting frantically about for a way out of the spiral of declining sales it seemed to find itself in. One response was to blame the Internet, and the government responded in June by dutifully passing new laws giving the record industry the legal backing to impose fines of up to ¥2 million or prison sentences of up to two years on offenders. Since (despite the vagueness of their wording) the laws seem to exclude the viewing of illegally uploaded videos on YouTube, it’s hard to see them having much impact on singles sales, but industry observers will no doubt be eagerly looking out for any research into their impact. It hasn’t all been reaction and Luddism though, and there are tentative hints that the music business might be taking baby steps toward some kind of rapprochement with the Web. Mobile-phone operator KDDI launched its Uta Pass legal music-streaming service in the summer, while Sony finally incorporated its similar Qriocity service into its entertainment division, re-launching it as Music Unlimited. Despite significant gaps in its catalog, especially when it comes to local artists, Music Unlimited suggests that major players are starting to finally tackle digital media in more ways than straight denial. The strongly rumored 2013 launch of Spotify in Japan looks like it might accelerate this trend. Back in physical reality, the marginalization of youth culture evidenced by the chart dominance of oldies was being enforced by police in clubs throughout Japan thanks to the country’s absurd antidancing laws. Resistance from the indie and club scenes centered around the campaign group Let’s Dance, who set up an online petition with a target of 100,000 signatures by the end of the year. At the time of publishing, they had amassed just over 96,000, with campaigners making a last-minute push against apathy before presenting the petition. Being ignored has never stopped independent artists putting out excellent music before though. Dubstep producer Goth-Trad opened the year by mulling the aftermath of the Great East Japan Earthquake on his album “New Epoch,” and eclectic multi-instrumentalist Shugo Tokumaru closed it out with “In Focus?”, one of the most outstanding albums of 2012. Regional scenes throughout Japan also continued to thrive, with the fierce, scuzzy and brilliant “Ripple” compilation showcasing some of the amazing talent currently plying its trade in the Nagoya indie and punk scene. Similarly, while the singles charts, advertising hoardings and TV screens were bogged down with idols, the Diet drafting new ways to punish downloaders, and the police raiding and shutting down clubs, bedroom producers throughout the country were piling onto sites such as SoundCloud and Bandcamp to deliver their music directly to fans for free. While advertising executives sucked public funds out of government ministries to flog the dead horse of “Cool Japan” abroad, fans the world over were creatively interacting — in ways that the music industry failed to comprehend — with Japan’s one true overseas star, the Vocaloid voice-synthesizer-software creation Hatsune Miku. In fact, with an orchestral symphony based on the works of author Kenji Miyazawa and a full “Vocaloid opera” both under her belt, it’s perhaps an ironic comment on the state of Japanese pop culture that some of the most creative, vibrant and internationally popular music coming out of the country right now is being delivered by the dead hands of a machine.